La Foret boasts a variety of lodging accommodations; each named after the flora found throughout our forest. 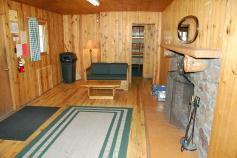 All of our cabins have a common area, bedrooms, and bathrooms. Unlike the others, Kinnikinnick and Indian Paintbrush provide kitchen amenities as well and have the option of being booked as "self-contained." Each cozy cabin has a wood-burning fireplace, a large common living area with hardwood floors, at least four carpeted bedrooms and two bathrooms. 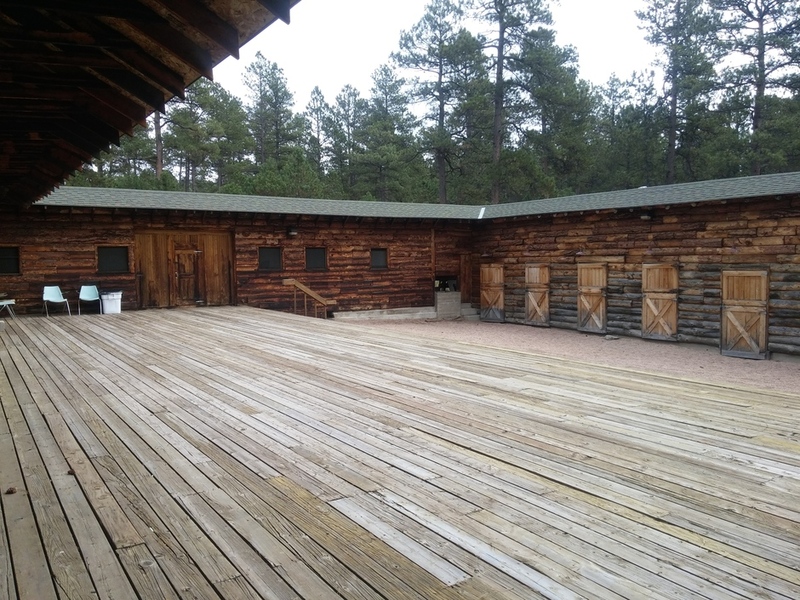 The cabins are centrally located on each side of the meadow. Sage & Prickly Pear each sleep 10. 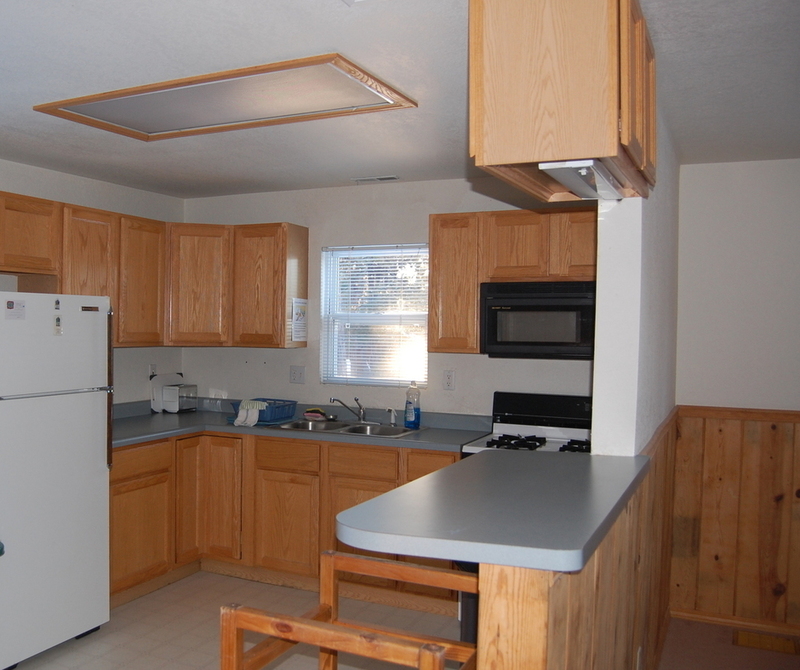 Willow has an additional 2 bedrooms, 2 half-baths, and sleeps 20. Aspen and Columbine each sleep 16. 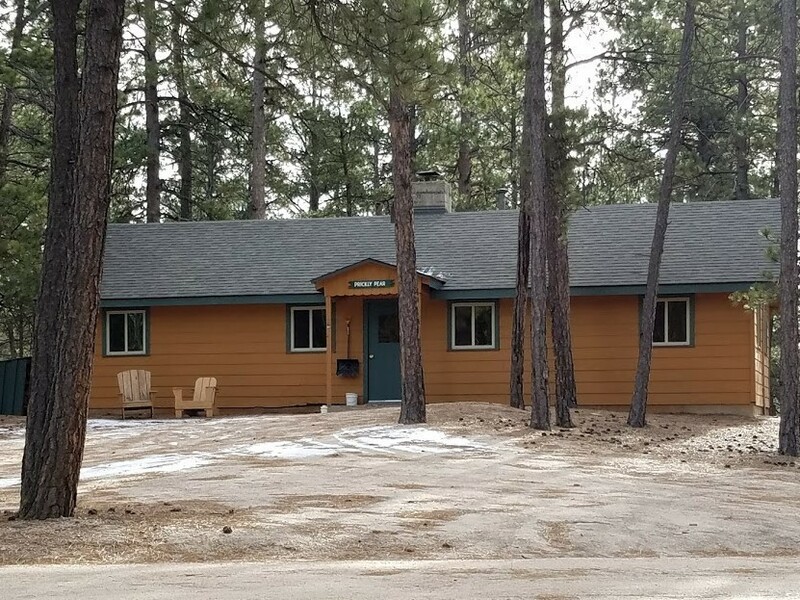 Kinnikinnick sleeps 11 in three bedrooms and is a “self-contained” cabin on the upper side of the Meadow with a full kitchen and dining room. There is also an outside deck overlooking the wooded grounds. Indian Paintbrush sleeps 18 and boasts a large carpeted common area with wood-burning stove and a full kitchen with separate dining room. This cabin sits off by itself to the northwest of the Meadow making it ideal for small, self-contained families or groups. "Self-Contained" Option: Indian Paintbrush and Kinnikinnick have the option of being “self-contained.” This means groups have the option of cooking their own meals or taking meals through La Foret’s dining services. Yurts are traditional portable housing units that were used by the nomads of Mongolia and across Asia. Our 6 yurts are updated versions made of wood and canvas. 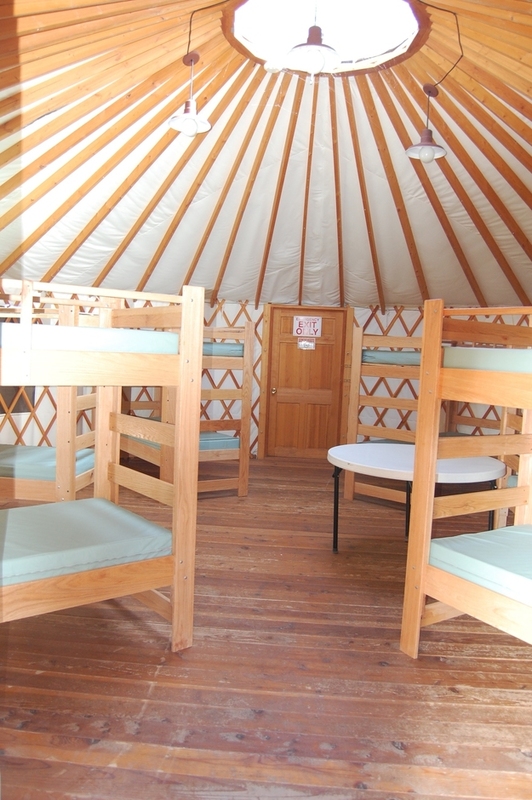 Each yurt is furnished with six sets of bunk beds, providing sleeping space for 12. They are built on wooden platforms and scattered through the forest near the Ben Smith Activity Center, in an area known as Yurt Village. Yurt Village may hold up to 72 guests. 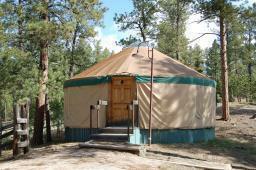 Yurt Village is served by a central bathhouse with multiple toilet, shower, and sink facilities. This building is heated. There is also a separate handicap accessible bathroom; one yurt is set up for handicap accessibility.